We are all in our little corner of the world. It is easy to forget all the people, places, culture, and scenery that exists out in the world, let alone the US. While some may choose planes to get from destination to destination, others prefer the wide-open-roads. And for those people, they may want to bring their attention here. There are interstate highways, US numbered highways, state highways, country highways. 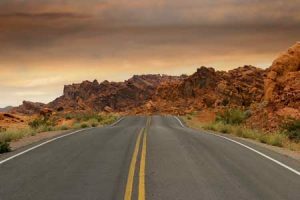 Below are the top six famous highways not to miss, whether it’s a family road trip vacation, a trucker’s map of the must have routes to deliver their loads, or a time to be alone and soak in all the quiet. Get ready to start planning! 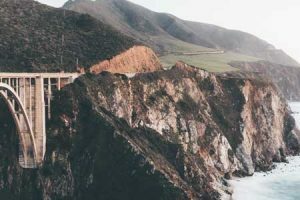 Also known as PCH, US 1, State Route 1, Highway 1. Whatever name used, it is iconic nonetheless. This gorgeous, iconic highway will take over all the senses. If picture perfect views of never-ending oceans, mansion-covered hills, and mountains galore are desired, look no further. A highway with countless amounts of buzz and praise, once seen, there is no way the praise won’t be understood. It’s always encouraged to drive the 650+ miles through the entire PCH, giving around 6 days to see it all. Starting in San Diego and finishing in San Francisco/Big Sur, the experiences of different cultures, foods, views, and people will bring memories to last forever. This famous highway is too good not to be on the bucket list for 2019. Also known at US 1 or Route 1. On the other side of the US, there is the Atlantic Coast. It’s there where the Seven Mile Bridge is located. This bridge is connected to other bridges, extending about 113 miles long in Florida. It’s one of those sights one would need to see to believe. Two parallel highways, surrounded by nothing but blue ocean. Can you picture it? 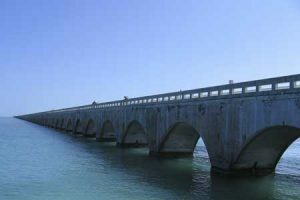 This Overseas Highway has been the set of movies, car races, and the only connection to several islands. At one end, Florida Keys. The other? Miami. Museums, state and national parks, winning fishing sights, it all will almost be as good as those sunrises and sunsets. Pure serenity. It doesn’t get any more famous than Route 66. The ‘Historic‘ Route 66, constructed in 1926. “The Mother Road.” Chances are this famous highway is ringing some bells. Route 66 begins in Chicago and goes through SIX states (Santa Monica, California. Missouri, Kansas, Oklahoma, Texas, New Mexico, Arizona) before reaching its stopping point. It’s symbol is famous. It’s been in famous movies and books. The bet is safe to say that people have seen this highway somewhere. AND this iconic highway was, and still is, ideal for truckers because of the basically straight shot across all states. Very suitable for those behind the 18-wheelers. Nature at its absolute finest. This famous highway has every source of landscape; meadows, farmland, mountains. 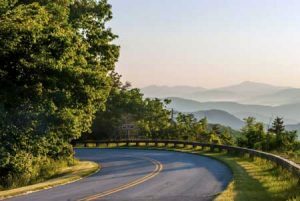 Follow the windy roads to see some of the oldest mountains (Great Smoky Mountains) or stop to take a hike at some of the key trails along the 469 miles of this famous highway. There is indeed something for everyone. Virginia and North Carolina is the destination to book for a relaxing, breathtaking road trip. 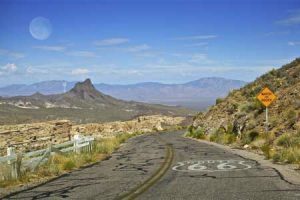 Some say this is the longest AND most scenic highway in the US. 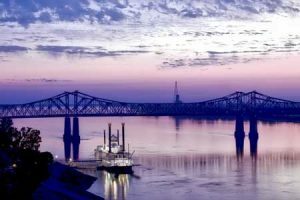 With the iconic Mississippi River on one side and the changing of scenery on another, making through the 10 states (Minnesota, Wisconsin, Iowa, Illinois, Missouri, Kentucky, Tennessee, Arkansas, Mississippi, and Louisiana) will be anything but boring. Covering a radius of 3,000 miles, it takes 36 hours to go through…nonstop. With so much to see, it may be the best to pick the cultural and city attractions that stand out the most. A little known fact; the Great Lakes became what it is today because of an area that was completely covered during the Ice Age. Utah and red rock. Surrounded by gorgeous greenery. Staggering, spectacular, stunning…they all work! Boulder Mountain on one end and Bryce Canyon on the other. Many updates have happened on this road, to ease driving routes and extensions to other destinations. Also known as “A Journey Through Time Scenic Byway,” these 122 miles will provide enough red rock cliffs for a lifetime. There it is. Six of the most famous highways in the United States. Not sure which place to visit first? Makes sense. To the truckers and drivers of the world, keep a close eye on where the routes are scheduled so there is no way to miss any of these unbelievable sights. Although Allstate doesn’t have drivers for long distances, if the shorter ones are more attractive, look no further. If crossing over states, over many hours is a possibility for the future, hopefully this will help. April is right around the corner. This means sun shining, windows down, music loud. Are you picturing it yet? Okay, now you’ve turned on your Spotify playlist filled with the best trucker songs of all time; some new, some old, all awesome. Now you’re really in a good mood! REGIONAL – This typically involves day trips – often a maximum of one or two nights out. A driver may run areas anywhere from a few city/counties to a few states. OVER THE ROAD (OTR) – A long-haul otr driver can spend weeks at a time on the road, with coast-to-coast loads. VOCATIONAL – Vocational drives take care of specific jobs or tasks. This category includes anywhere from dump trucks, end-dumps & side-dumps, belly dumps, refuse (garbage trucks and roll-offs), concrete trucks, service trucks, rail trucks- and the list goes on. These types of rigs are often found in construction sites, oil fields, landfills, and more. How Does Traffic Congestion Affect Commercial Trucking?